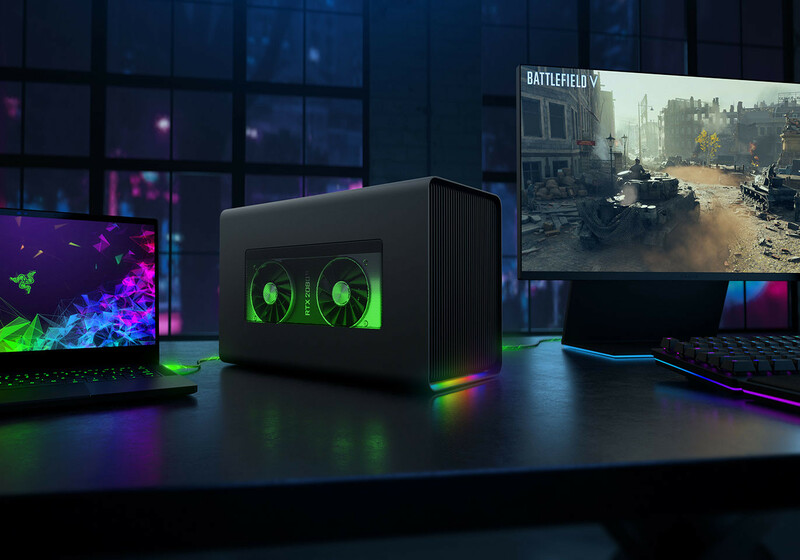 News Posts matching "Windows 10"
NVIDIA today rolled out GeForce 430.39 WHQL drivers, which introduce support for the new GeForce GTX 1650 graphics card launched earlier today. 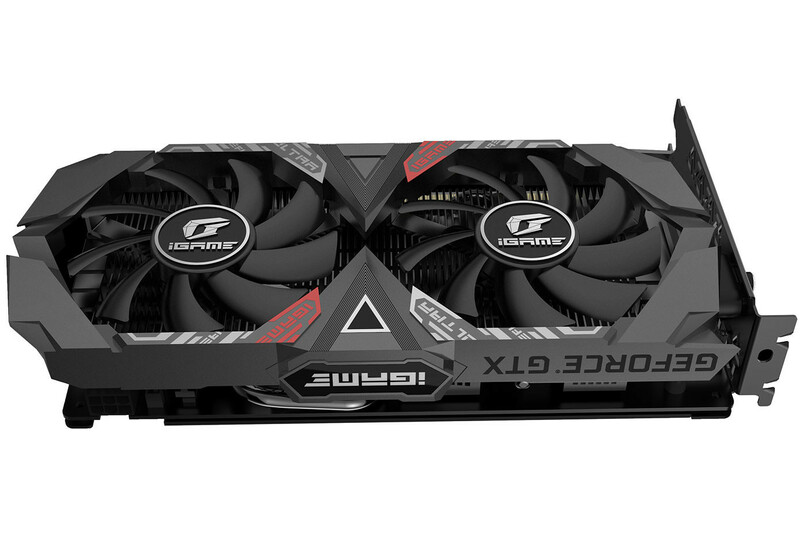 The drivers also add support for the new notebook variants of the GTX 1660 Ti and GTX 1660. Most importantly, the drivers add support for Windows 10 May 2019 Update (1903), which adds a standardized method of variable-rate shading. The drivers add or improve optimization for "Mortal Kombat XI," "Anthem," and "Strange Brigade." NVIDIA tested and approved 7 more VESA Adaptive Sync-capable monitors for G-Sync support added through these drivers (full list here). Among the other features is the new ability to merge two portrait monitors to a landscape display head. 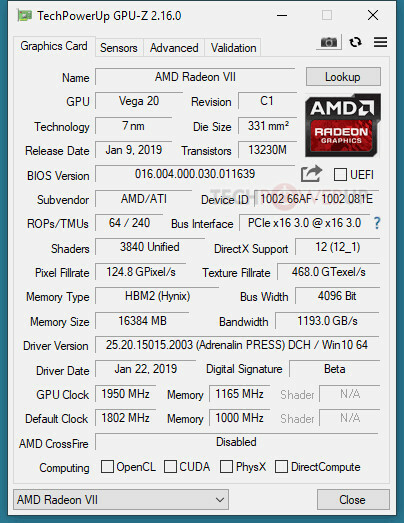 Fixes include MadVR not correctly rendering HDR mode using MPC-HC; a random desktop flicker seen in some multi-display PCs, and memory leaks noticed when launching certain games. Grab the drivers from the link below. 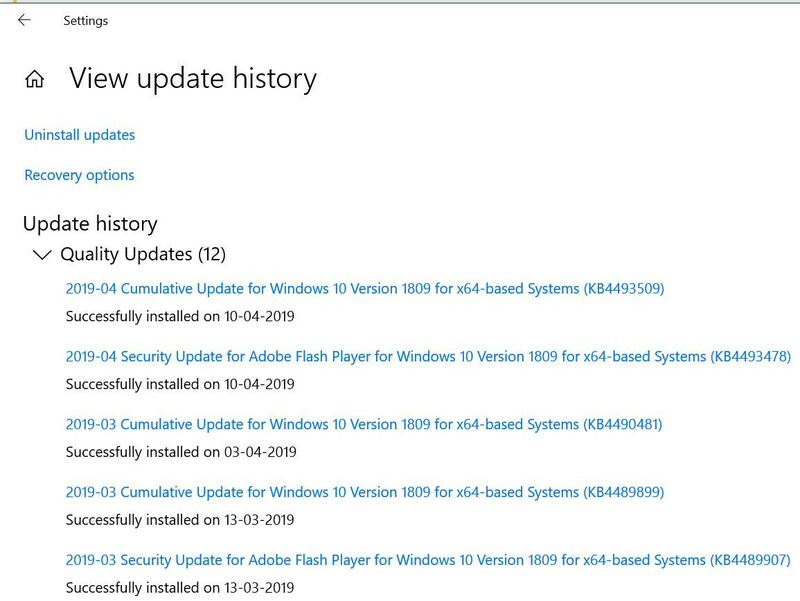 The April 2019 Cumulative Update for Windows 10 released this "patch Tuesday" (9th April), bearing knowledgebase code KB4493509, is discovered to cause machines with cluster shared volumes (CSVs) to become unresponsive upon restart after installing the update. Installation of cumulative updates forces system restart as Windows shuts down certain services and drivers to a bare-minimum state so it could overwrite system files. This latest issue of system freezing is caused on machines with incompatible security software, such as ArcaBit, however, users over at Ten Forums observed Avira Antivir to show the same incompatibility. Microsoft has since listed this incompatibility as a Known Issue in the description page of KB4493509. All versions of Windows 10 will soon be able to defer updates, letting users prevent buggy updates from being automatically installed. Currently only Windows 10 Pro and Workstation provide this feature. One of the big no-nos for some users looking to upgrade do Windows 10 was the fact that Microsoft enforced constant, 6-month update cycles independent of whether users wanted them or not. This move was done to streamline the update process and keep all users at parity when it comes to important security and feature updates that Microsoft considered relevant. However, it seems Microsoft is now abandoning this practice, which means that users that like to know exactly what is being changed in their systems - and at a time of their convenience - now have one less reason to not upgrade. Not only will Windows no longer push updates inadvertently, now home users will also have the ability to not only pause updates, but also remove them. There's a caveat, though - you won't be able to postpone feature updates forever. As it stands, Microsoft has an 18 month "end of life" period for major Windows 10 versions, which means that after your 18 months of postponing updates are up (and all of the kinks have been ironed out), you PC will still update to the latest version. 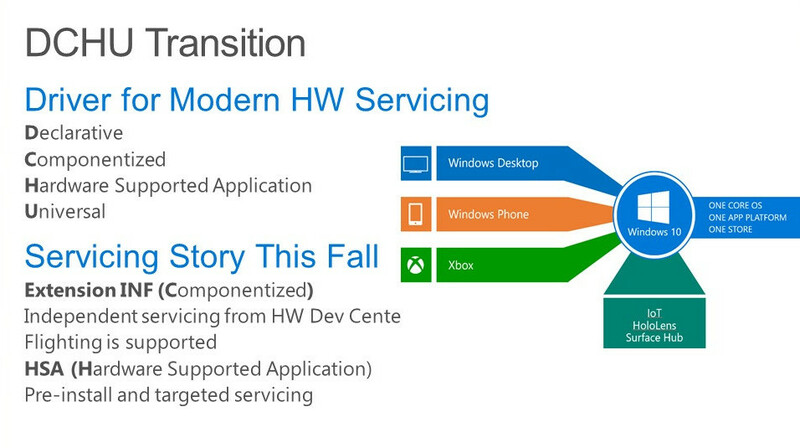 There are some other details, which I will transcribe from the Microsoft blog post for your perusal. 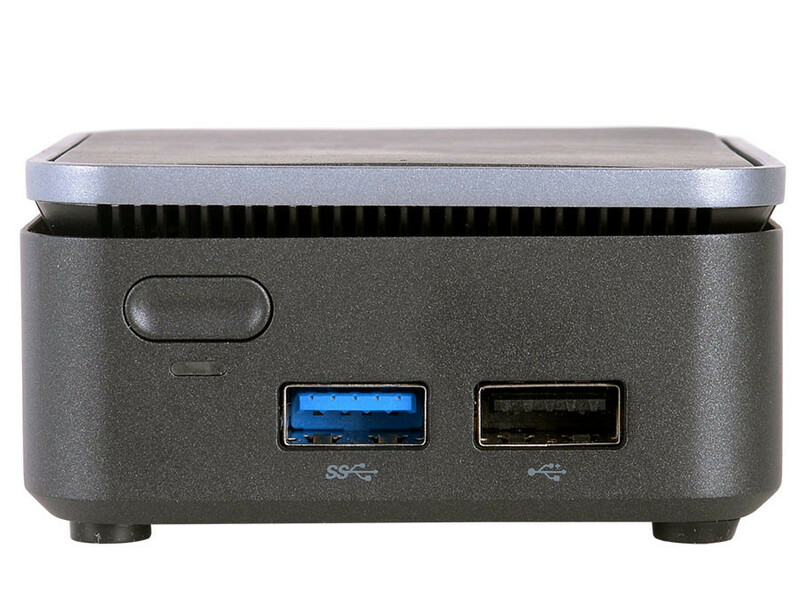 Global industrial and IoT hardware manufacturer Logic Supply has combined the latest vision processing, security protocols, wireless communication technologies, and proven cloud architectures to create the Karbon 300 rugged fanless computer. The system has been engineered to help innovators overcome the limitations of deploying reliable computer hardware in challenging environments. 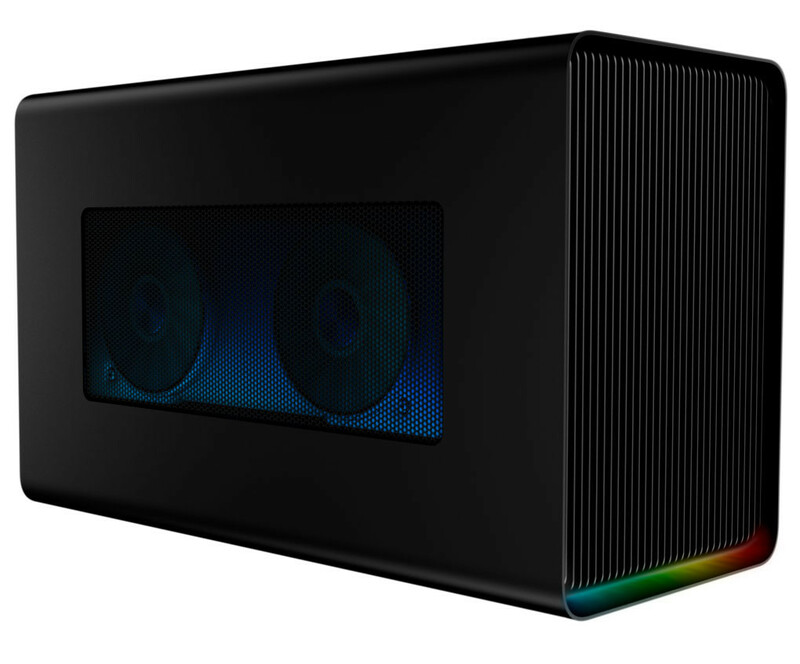 Paying less for genuine, globally-valid software licenses is a great way to reduce costs of building a new gaming PC that could free up your budget to cope with rising graphics card and memory prices. 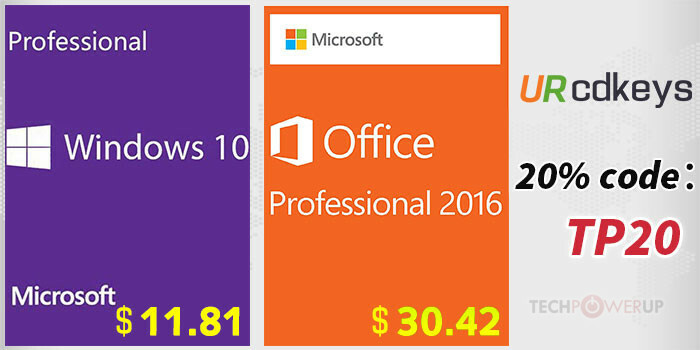 GoodOffer24 brings you genuine, globally-valid Windows 10 Pro and Office 2016 Professional Plus licenses at never before seen prices. 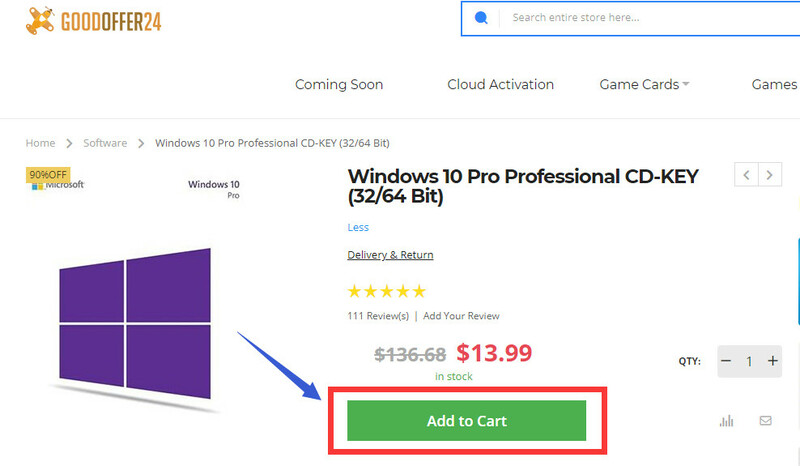 Windows 10 Pro is being offered at USD $12.44 with a TechPowerUp-exclusive discount code applied. Office 2016 Professional Plus is another software no home desktop is complete without. 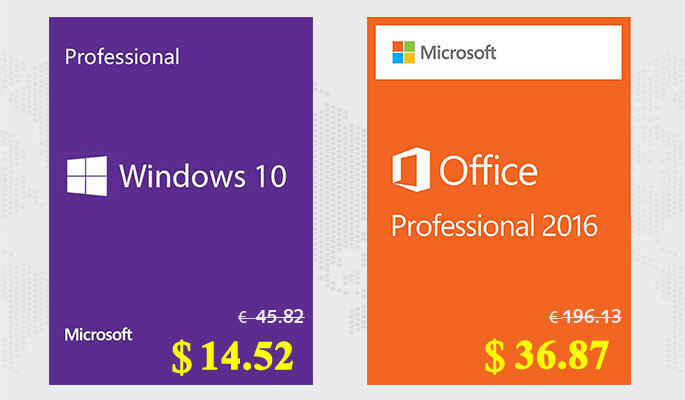 At $30.82 with our discount code applied, this is possibly the lowest price ever for a genuine, globally-valid Office 2016 Professional Plus license, and is a fraction of what you'd pay for an annually-renewing Office 365 subscription. For those wanting the latest, Office 2019 Professional Plus, which comes with more advanced features and better optimization for the latest hardware, can be had for $58.16 after discount. Grab these software and more, such as region-specific game licenses and in-game goodies, from GoodOffer24! Don't forget to apply the TechPowerUp-exclusive discount code LQtechpowerup18 at checkout for the prices you see here. 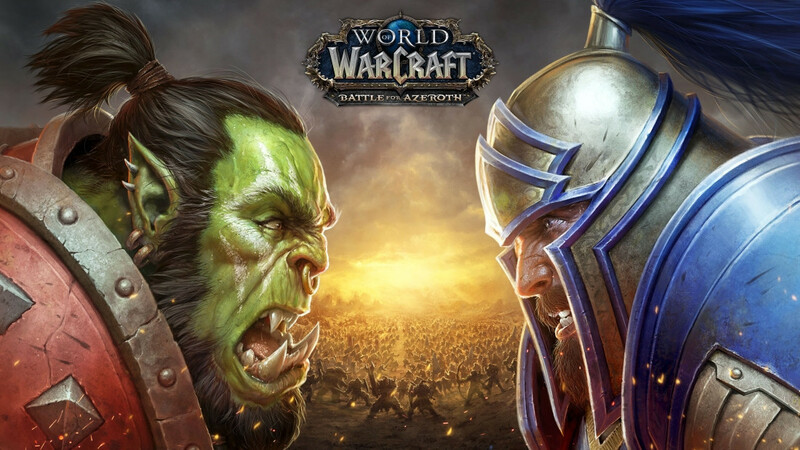 In what is likely to create a good deal of controversy along with a few cheers, Blizzard will be adding DirectX 12 support to World of Warcraft on Windows 7 thanks to a bit of effort from Microsoft. You might be wondering how that is possible? 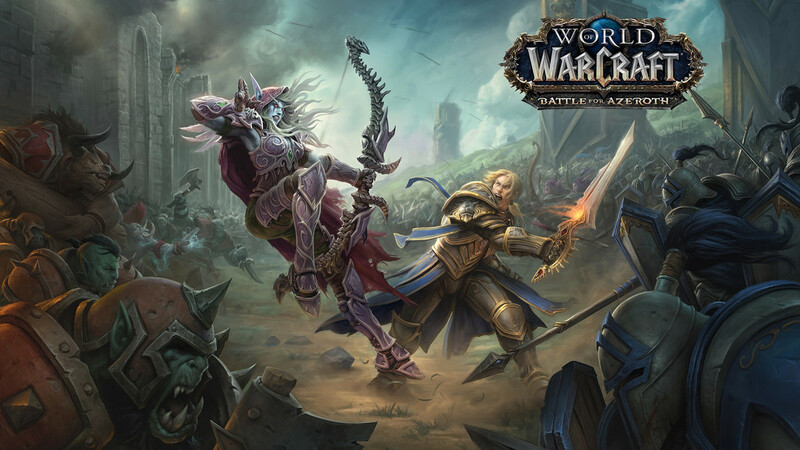 Well after seeing massive performance gains in WoW when Blizzard released their DirectX 12 update for Windows 10 in late 2018, resulted in the company wanting to bring those performance improvements to gamers still holding out on Windows 7. To facilitate this, they began talking with Microsoft who after getting a great deal of feedback from Blizzard decided to act on it. 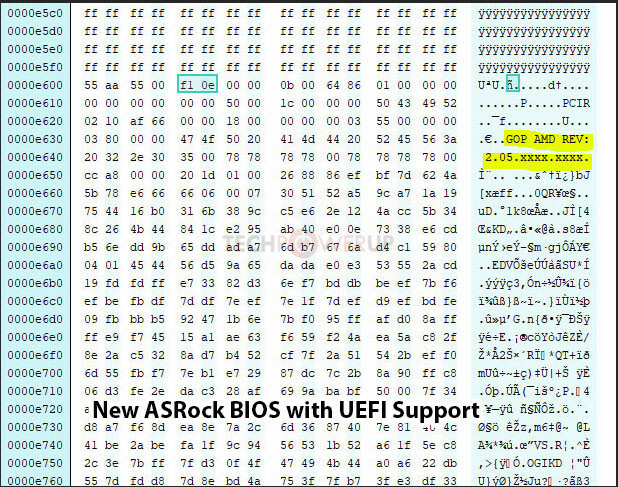 To achieve this Microsoft decided to port the user mode D3D12 runtime to Windows 7, which will unblock developers, thereby allows them to take advantage of the latest improvements that the DirectX 12 API offers while still giving full support to customers on older operating systems. 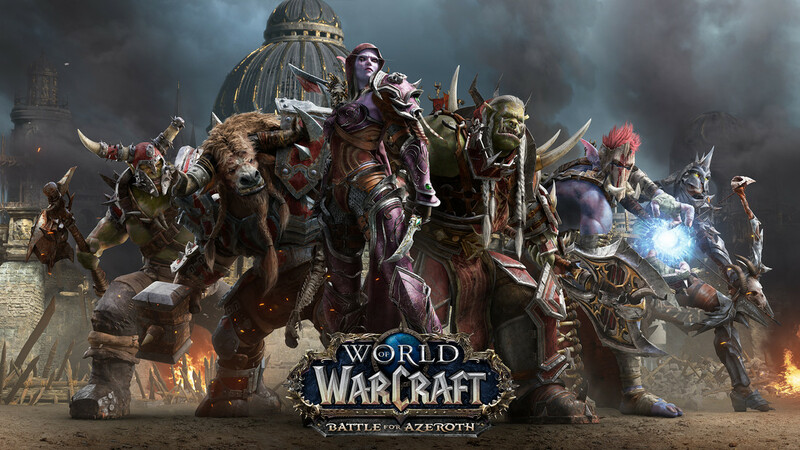 For now, World of Warcraft is the first game to run in DirectX 12 on Windows 7 with the latest 8.1.5 patch. However, they will not be the last as more developers are working on porting DirectX 12 games to Windows 7 with more announcements to follow. Microsoft, of course, has taken it upon themselves to remind everyone that the best possible performance with DirectX 12 will still be had on Windows 10 due to numerous OS optimizations. How true this is remains to be seen, but for many curmudgeons still holding out on Windows 7, this will likely be seen as a form of vindication for sticking with the now venerable OS. Let's give credit where it is due- Microsoft was quick in admitting that their Windows 10 update (KB4482887) from March 1 had a detrimental effect on performance, especially as it related to specific gaming scenarios. Under a week later, we now have a public fix available as well. 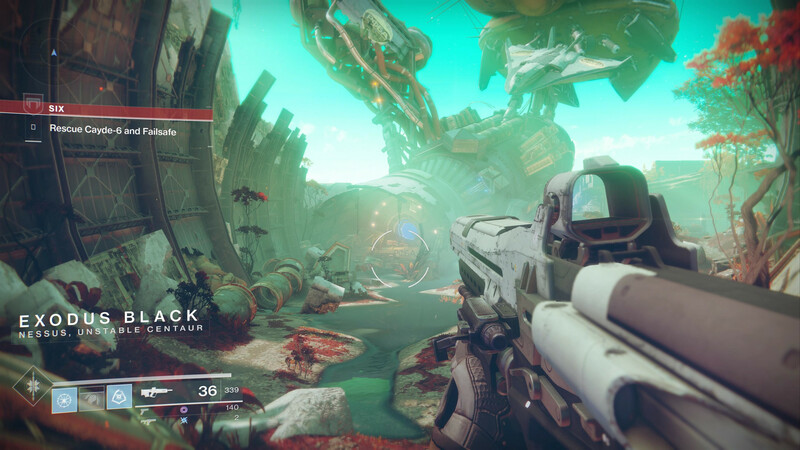 The latest update from today, March 12, is version KB4489899 (OS Build 17763.379) and claims to address "an issue that may degrade graphics and mouse performance with desktop gaming when playing certain games, such as Destiny 2, after installing KB4482887", among other things. 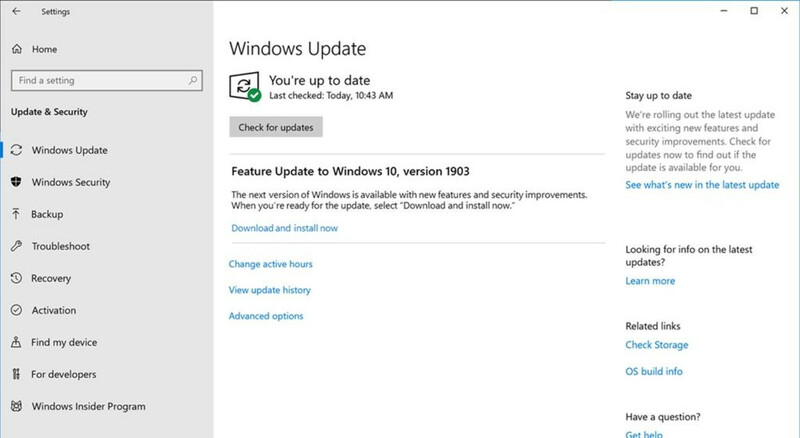 Other listed improvements and fixes include improved HoloLens tracking and device calibration, solving a bug that caused some users to get "Error 1309" when dealing with some .MSI and/or .MSP files, and a host of general security updates to various Microsoft software solutions. There remain some issues with this update, however, which are listed in the source page linked below. The update should be available for download and install automatically via Windows Update, as of the time of this post. 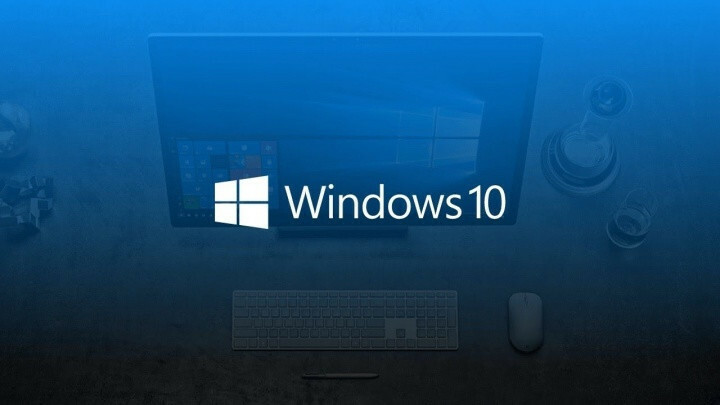 Microsoft has confirmed that their latest Windows 10 update (KB4482887), which released on march 1st, can actually degrade graphics and mouse performance in some games. As Microsoft themselves put it, "After installing KB4482887, users may notice graphics and mouse performance degradation with desktop gaming when playing certain games (eg: Destiny 2)." There's no word yet on a definitive listing of games that suffer this performance degradation, but Microsoft is hard at work fixing this for the next Windows release. 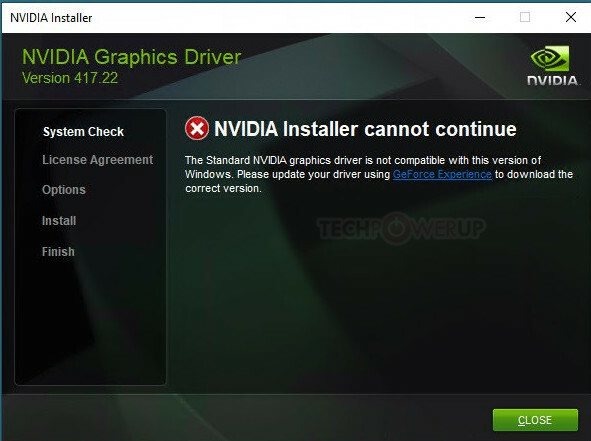 Until then, users facing graphics and mouse performance degradation can simply uninstall the KB4482887 update. 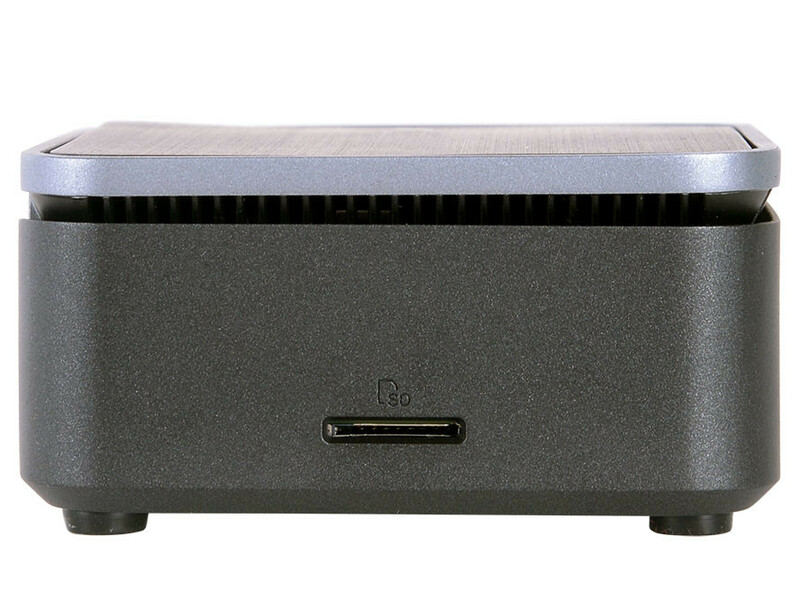 Elitegroup Computer Systems (ECS), the global leading motherboard, Mini-PC, Notebooks, mobile device and smart city solutions provider, is pleased to announce the LIVA Q2 - the silent, energy efficient multi-functional mini PC designed for various smart solutions such as home entertainment, smart offices, and modern classroom. 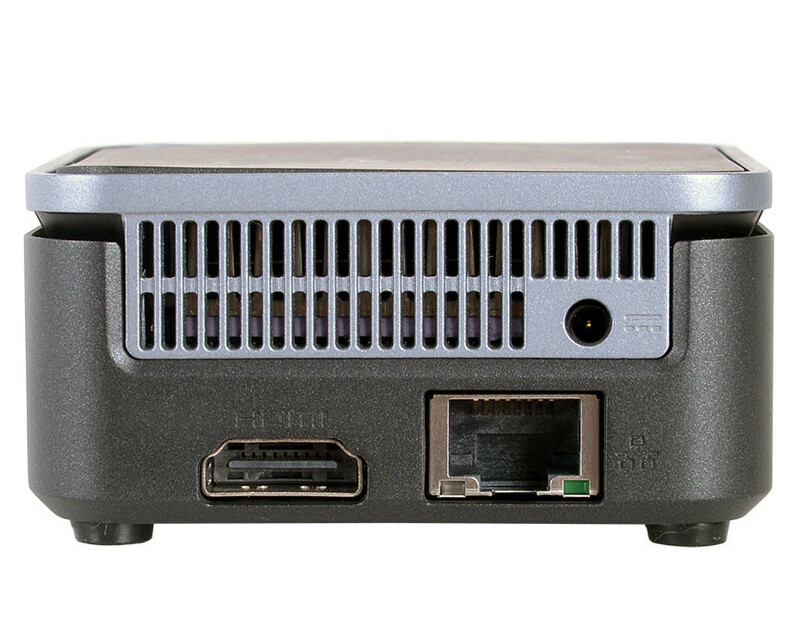 It can also be used with digital signage and successfully used in smart retail solutions. Ultra-mini body design, but the applications are beyond imagination. 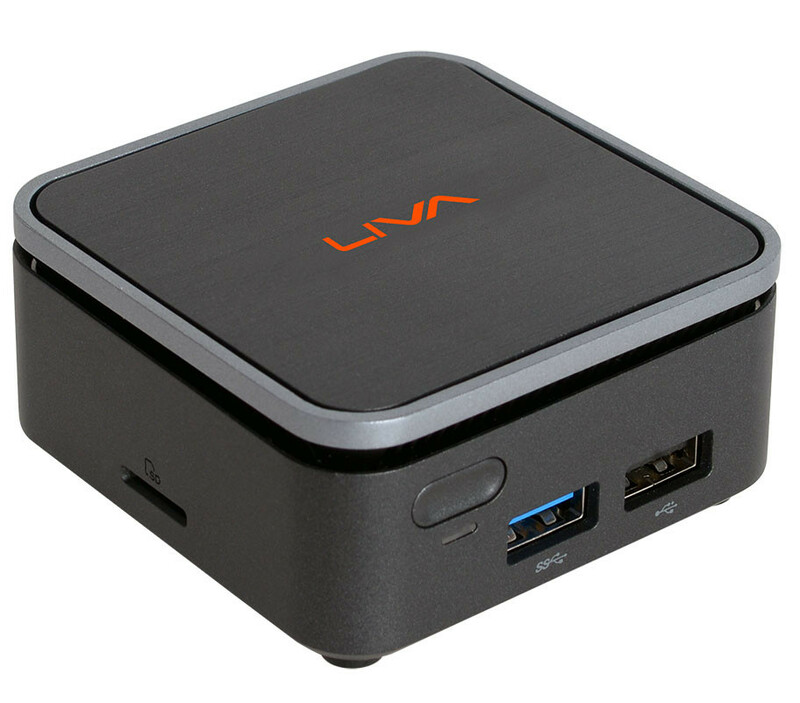 With the beautifully designed LIVA Q2 mini PC can meet all the device connections you need by providing full I / O support. 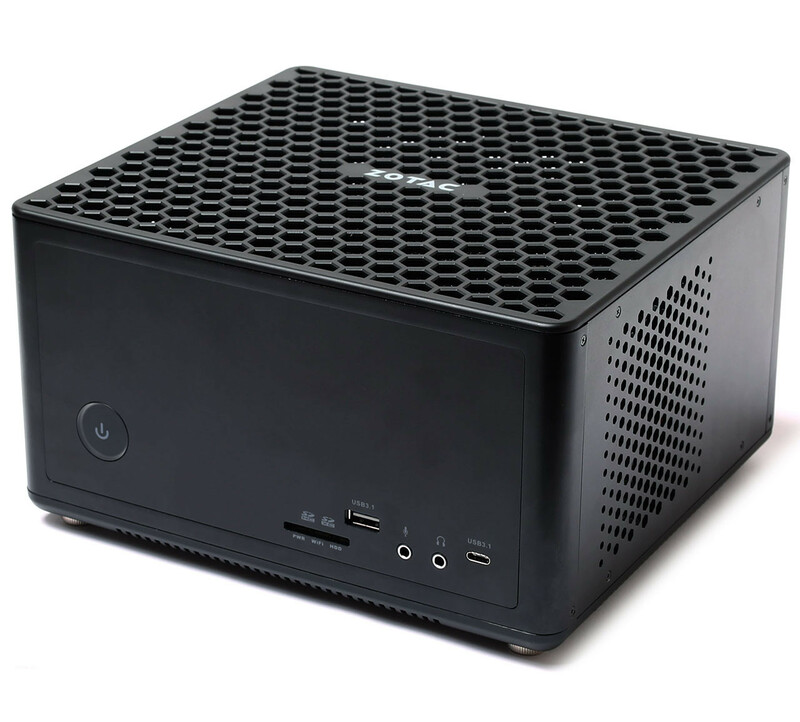 The mini PC support for Microsoft's latest Windows 10 operating system. 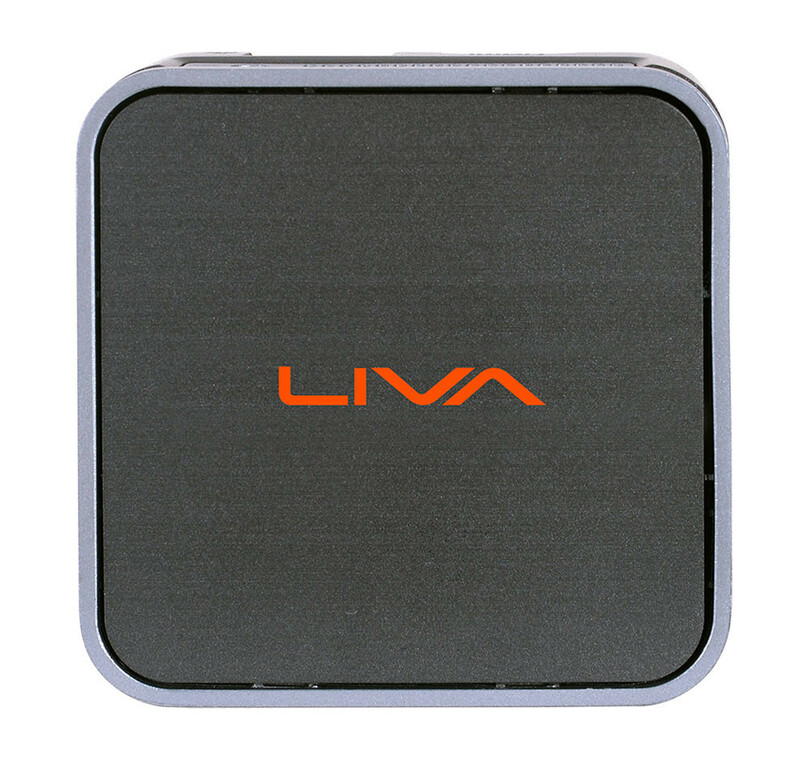 The LIVA Q2 is integrated with Intel Pentium Silver/Celeron processor. Simply by using the Intel Unite application on client's device, which clients can easily integrate participants, solutions and platforms into one. 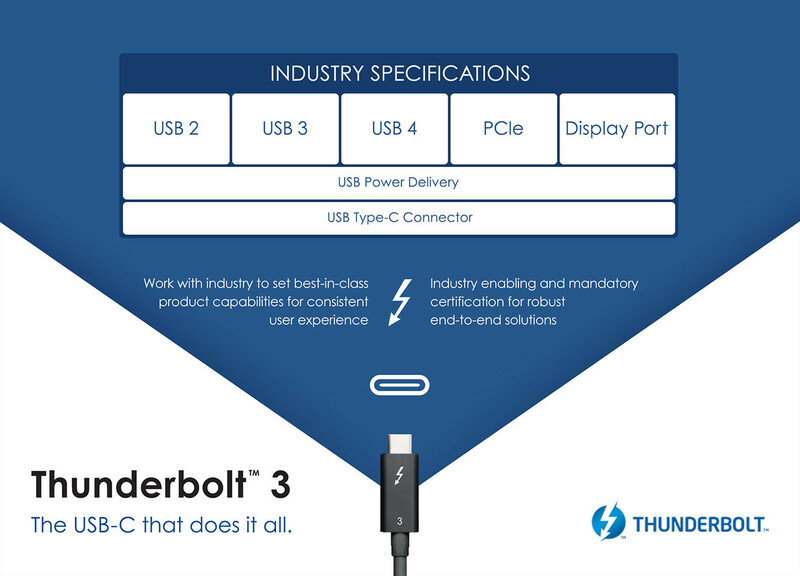 "Releasing the Thunderbolt protocol specification is a significant milestone for making today's simplest and most versatile port available to everyone. 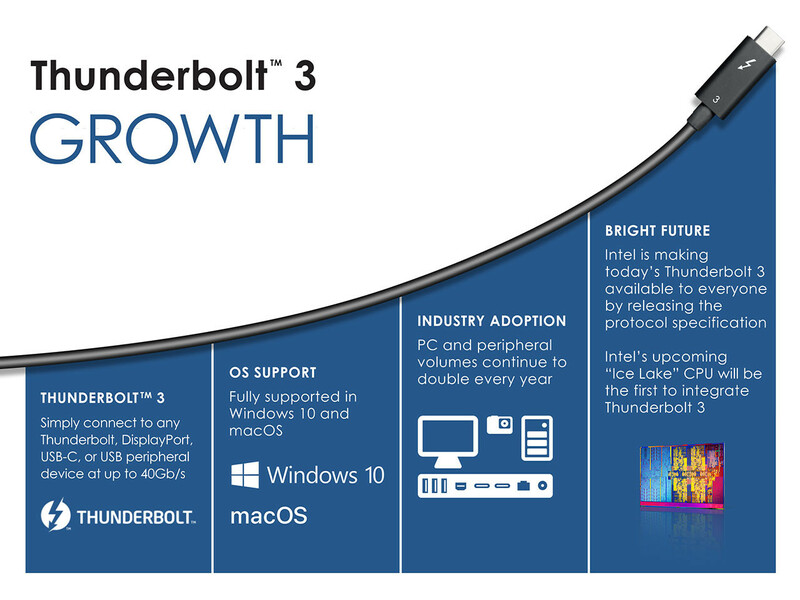 This, in combination with the integration of Thunderbolt 3 into upcoming Intel processors is a win-win for the industry and consumers," said Jason Ziller, general manager, Client Connectivity Division at Intel. In what is likely to cause some hand wringing or chuckles depending on upon your personality, Microsoft's Windows 10 Insider Preview Slow Ring (beta versions of the OS) has not seen a new release in months. This is due to a common Anti-cheat software running amok and causing GSODs (replacement for BSODs in preview builds). 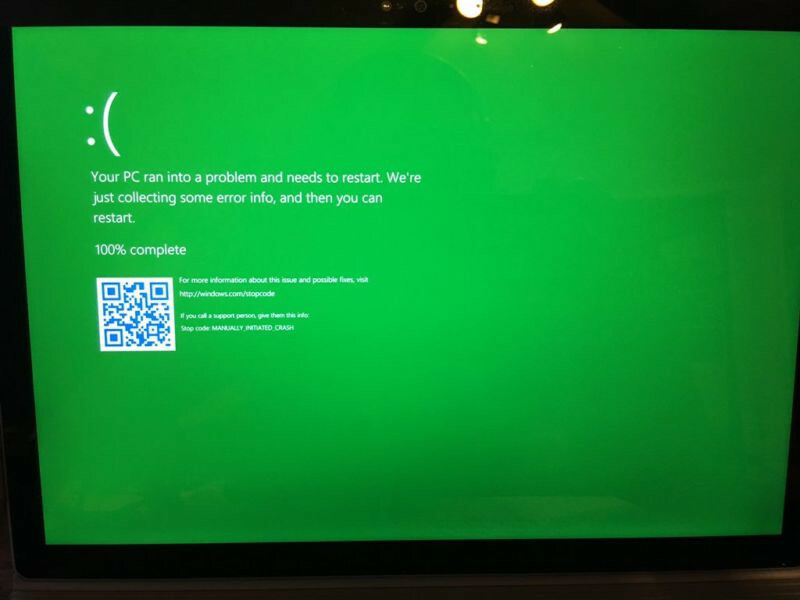 The problem itself has existed for a few months and needs to be fixed by the creators of the software as noted by Chief of the Windows Insider program, Dona Sarkar, on twitter. Apparently, this isn't something Microsoft can fix due to how the software itself functions. Essentially the unspecified anti-cheat software runs in kernel mode and tampers with various aspects of the OS that it is not supposed to tamper with. While it is possible, the software is using allowed hooks in order to function. It is also possible that in the process it is damaging kernel data structures and code. This situation is likely to stir up debate on how effective anti-cheat software is considering it seldom seems to stop determined cheaters and as of now is causing the OS crash and is proving to be a thorn in Microsoft's side. Still, this has more ramifications than just some system crashes or a software company that needs to edit some code. It directly results in Microsoft having to delay Preview releases. Since these Slow Ring builds can't be tested or validated. Pair that with the fact Microsoft's testing of Windows 10 builds is already considered lackluster with many bugs and issues going unresolved and you end up with a rather grim situation. After all, it was only a few short months ago that the October 2018 update was released after suffering numerous problems and delays. If issues like that continue, it seems the April 2019 update could be delayed as well. To avoid this and to get something done, Microsoft will be pushing out a Slow Ring build to systems that do not have the offending anti-cheat software. Better late than never but you would have thought that this solution would have been implemented sooner. In a report via Ars Technica, it seems that Microsoft is actually inching ever closer to having PCs powered by Xbox games (and Xbox servers). After the company pushed some free copies of State of Decay to a limited number of beta testers for its upcoming Windows 10 updates (and asking for feedback on the game's behavior), a number of users tried (and managed) to dig deeper. It seems that Microsoft used the Xbox's distribution services instead of the usual Game Store ones for distributing State of Decay, which would mean a tight integration of its console distribution platform and its Windows PC one. Furthermore, the state of Decay files came in encoded on a proprietary, Xbox-bound .xvc file system. 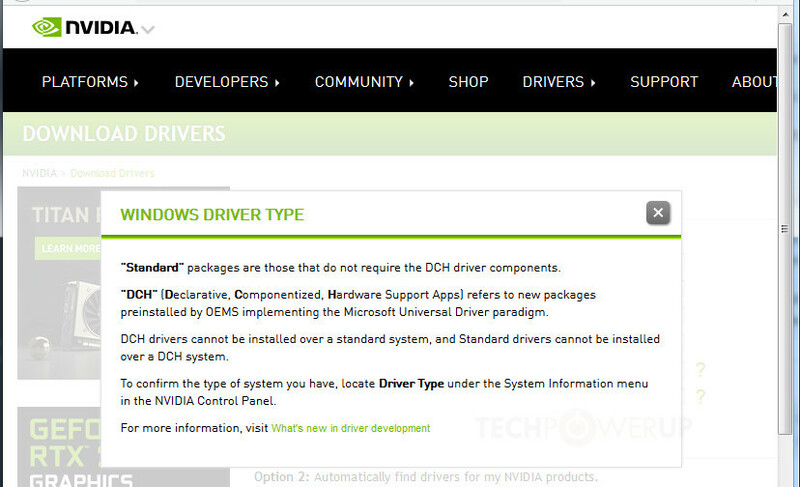 State of Decay, as it is being delivered, also tries to update the DirectX installation on the users' PC, which speaks of it being aware of some PC-specific requirements for it to be run, which wouldn't be present shouldn't that be the case. This is all part of Microsoft's GameCore initiative, which aims to build a common set of system services and APIs that allow for higher development integration between both the PC and Xbox platforms, lowering the coding barrier for games to run on both, and perhaps even enabling PCs to be recognized as equals to Xbox consoles when it comes to content distribution. Maybe we'll finally be able to get The Master Chief collection and... Red Dead Redemption in our PCs? Windows Lite is a new upcoming PC operating system by Microsoft designed as a competitor to Google's ChromeOS, and being designed for machines with extremely slim hardware specifications. The OS could also target devices that work as "edge computers," with much of their processing being performed over the cloud. ChromeOS beats the bloated Windows 10 in one key department - a lightweight and uncluttered user-interface. This is the area where much of Microsoft's design efforts lie - UI elements and graphics that are lightweight not just on memory, but also Internet bandwidth, if the device is streaming a remote session (a la Citrix). Below is a concept by UX designer Jay Machalani. 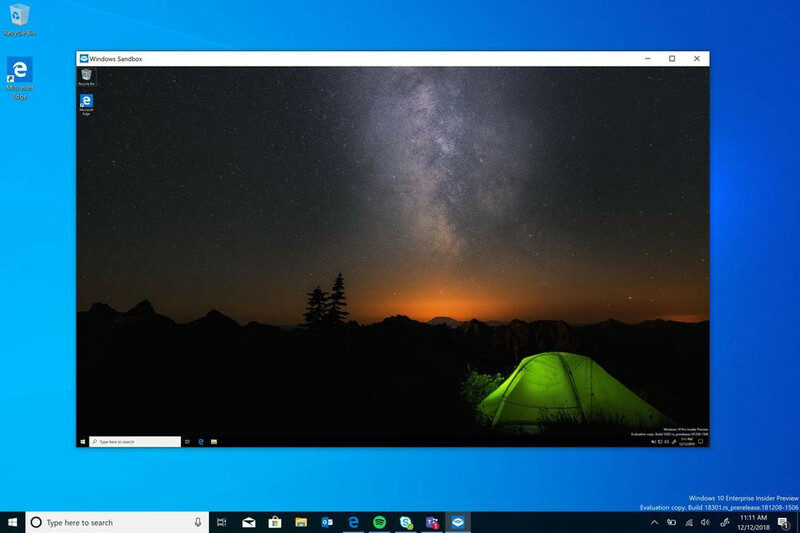 The Windows Lite desktop looks familiar, with a taskbar and app buttons, and a Start menu, but one that's been redesigned without live tiles, but a simple list of icons. At this point it's unclear just how far Microsoft intends to go with the lightweight OS concept without cannibalizing sales of Windows 10 Home. The OS definitely features UWP, and from the looks of the screenshot doing rounds, also appears to support legacy Win32 apps, however, Microsoft has in the past restricted functionality of its cheapest OS products so as to not kill pricier Windows versions. Microsoft is innovating two brand new Windows user-interfaces for launches through 2019-2020, codenamed "Polaris" and "Andromeda." 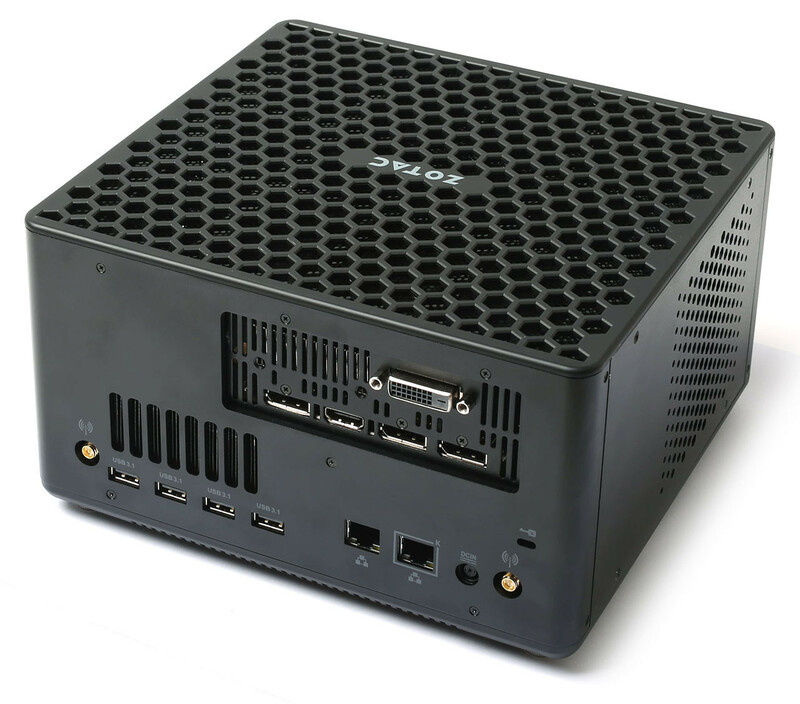 AMD in 2012 launched the FX-8150, the "world's first 8-core desktop processor," or so it says on the literal tin. AMD achieved its core-count of 8 with an unconventional CPU core design. Its 8 cores are arranged in four sets of two cores each, called "modules." 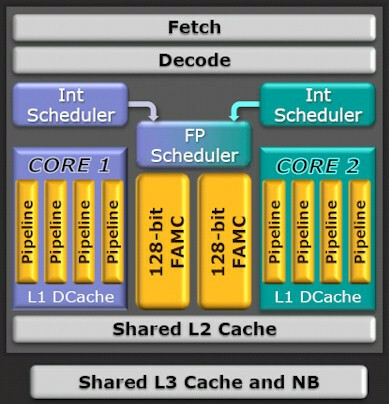 Each core has its own independent integer unit and L1 data cache, while the two cores share a majority of their components - the core's front-end, a branch-predictor, a 64 KB L1 code cache, a 2 MB L2 cache, but most importantly, an FPU. There was much debate across tech forums on what constitutes a CPU core. Multiprocessor-aware operating systems had to be tweaked on how to properly address a "Bulldozer" processor. 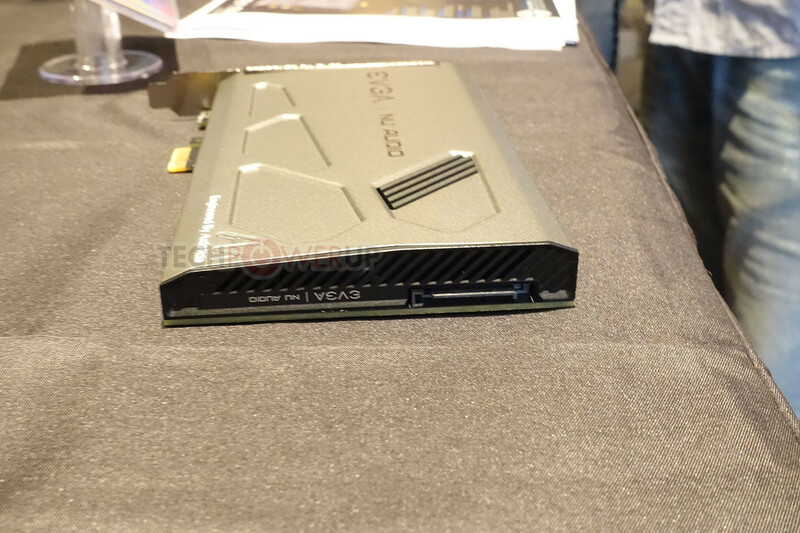 Their schedulers would initially treat "Bulldozer" cores as fully independent (as conventional logic would dictate), until AMD noticed multi-threaded application performance bottlenecks. Eventually, Windows and various *nix kernels received updates to their schedulers to treat each module as a core, and each core as an SMT unit (a logical processor). 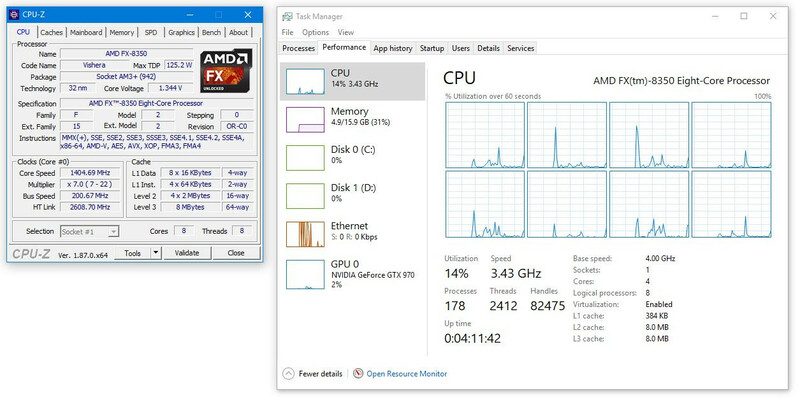 The FX-8350 is a 4-core/8-thread processor in the eyes of Windows 10, for example. These updates improved the processors' performance but not before consumers started noticing that their operating systems weren't reporting the correct core-count. In 2015, a class-action lawsuit was filed against AMD for false marketing of FX-series processors. The wheels of that lawsuit are finally moving, after a 12-member Jury is set up to examine what constitutes a CPU core, and whether an AMD FX-8000 or FX-9000 series processor can qualify as an 8-core chip. What's this? 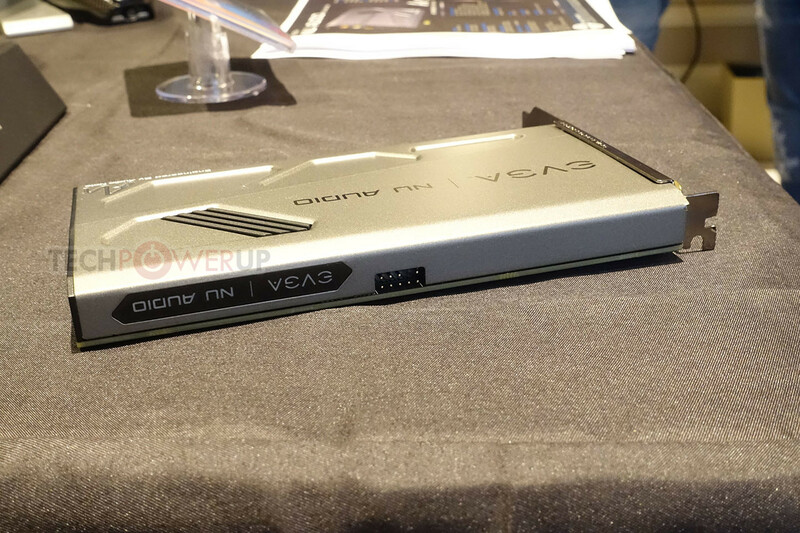 A new high-end internal sound-card launch? 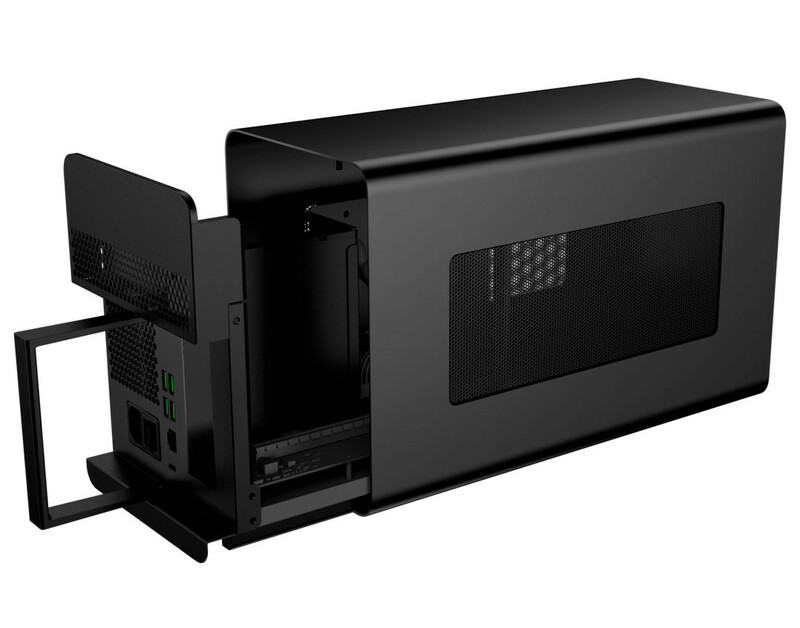 From EVGA? We must be dreaming! 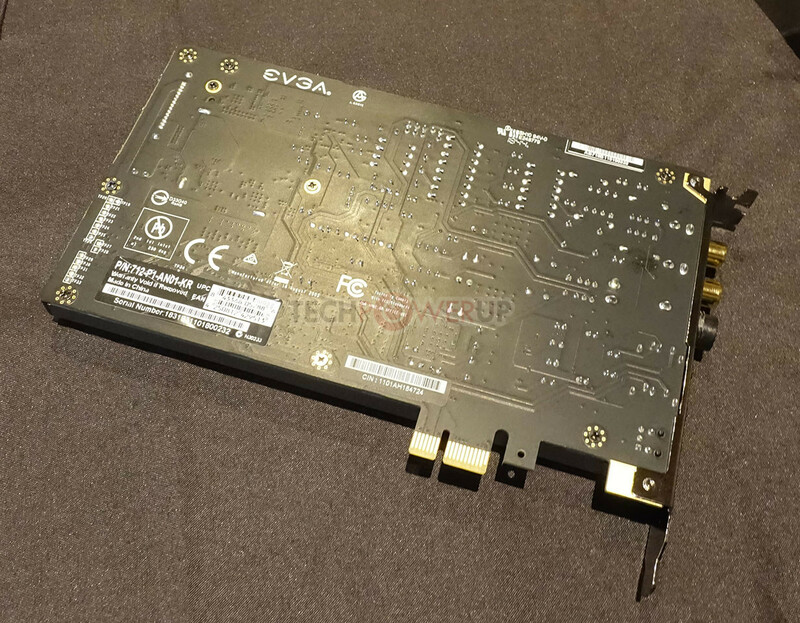 The NU-Audio internal sound card is the most unexpected product from our visit to EVGA's suite on Monday. 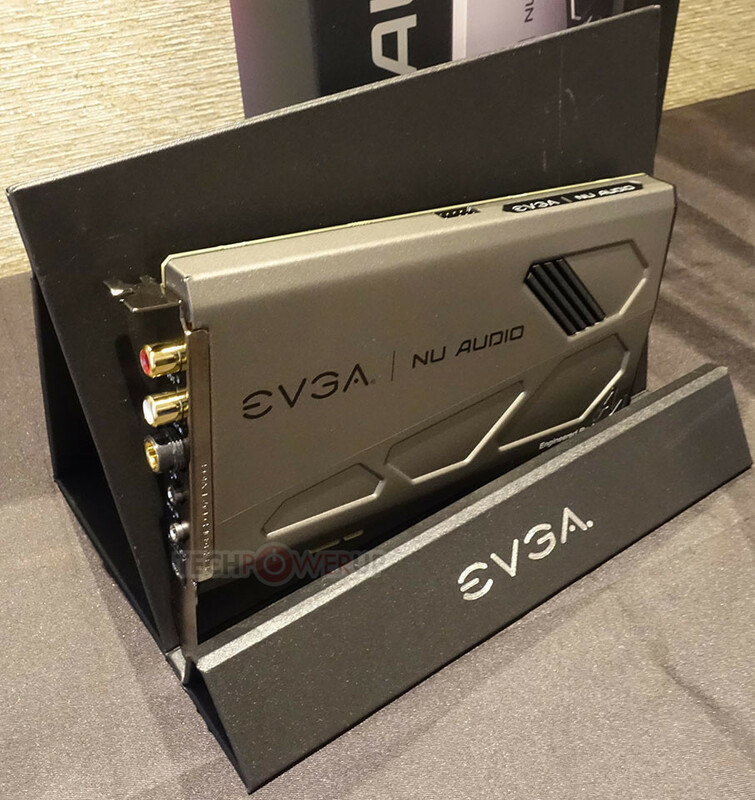 Developed in partnership with British audiophile hardware maker Audio Note and sold under the EVGA badge, the NU-Audio is a full-height internal sound card with PCI-Express 2.0 x1 bus interface. 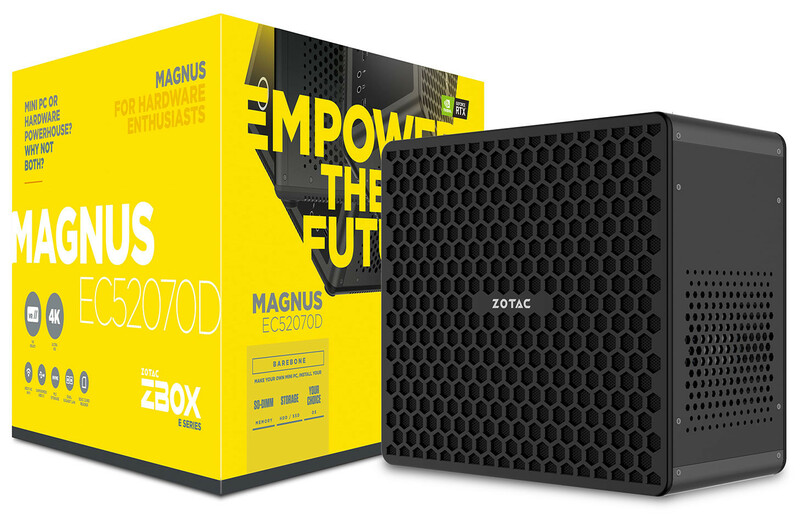 At its heart is an XMOS xCORE 200 PCIe audio processor with an Azalia-like pipeline. 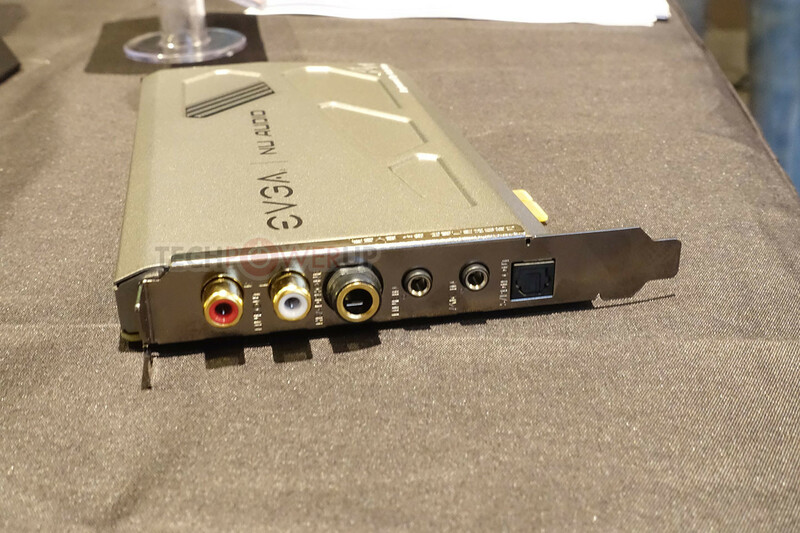 The main DAC is an Asahi Kasei AK4493, fronted by an Analog Devices OP275 OPAMP for the main headphones channel, and AD8056 for the line-out channel. The card has some serious input chops as output, with the main line-in powered by an Asahi Kasei AK5572, and a Cirrus Logic CS53456 for the microphone-in channel. As an analog sound card, you only get 2 channels. 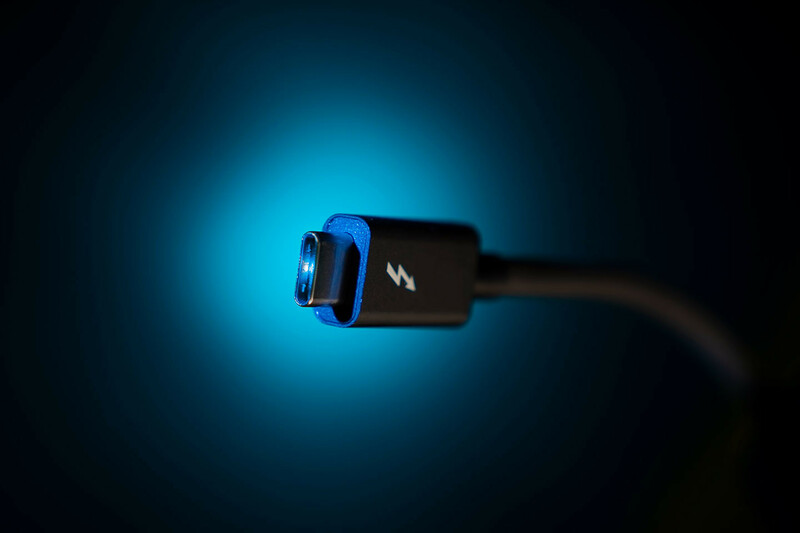 You'll need optical TOSLINK for 5.1 channels. A combination of WIMA and Audio Note electrolytic capacitors are used across the card. The electrical area is ground-layer isolated, draws power from a SATA power input, and uses a Texas Instruments TPS7A47 voltage regulator. All connections between the electrical and audio areas are filtered, and copper EMI shielding covers vital audio components, in addition to the outer shroud. The PCB itself is chunky (possibly 4-layer with 2 oz copper layers). 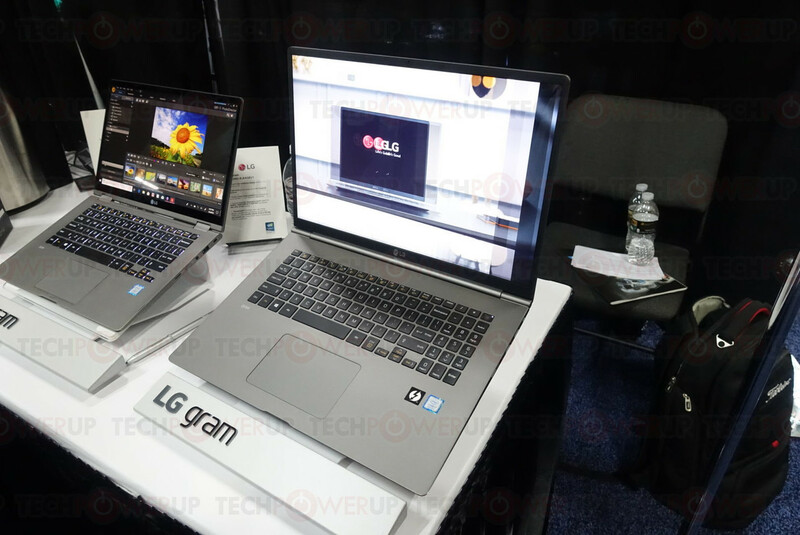 While the new release of LG's Gram series is no secret, we were able to take a closer look at the 17-inch 17Z990-R.AAS8U1 and 14-inch 14T990-U.AAS8U1 models at CES 2019. These Windows 10 based offerings rival Apple's MacBook Air not only in size but in regards to specifications and looks as well. Packing a 17-inch 2560x1600 IPS display into a 15.6-inch class body the 17Z990-R.AAS8U1 packs a serious punch. 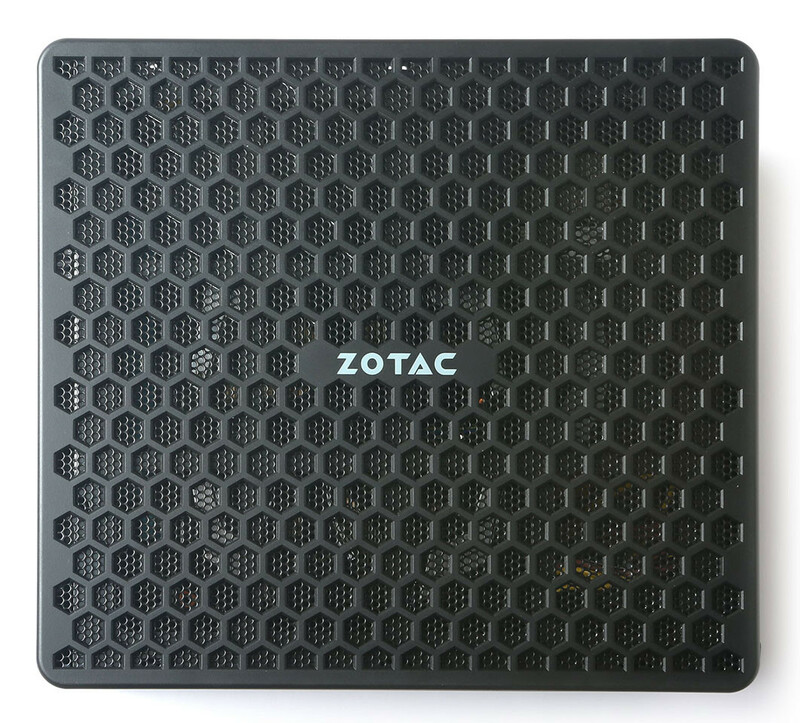 It comes equipped with a 4c/8t Intel Core i7-8565U which offers a base clock of 1.8 GHz and a boost clock of 4.6 GHz. 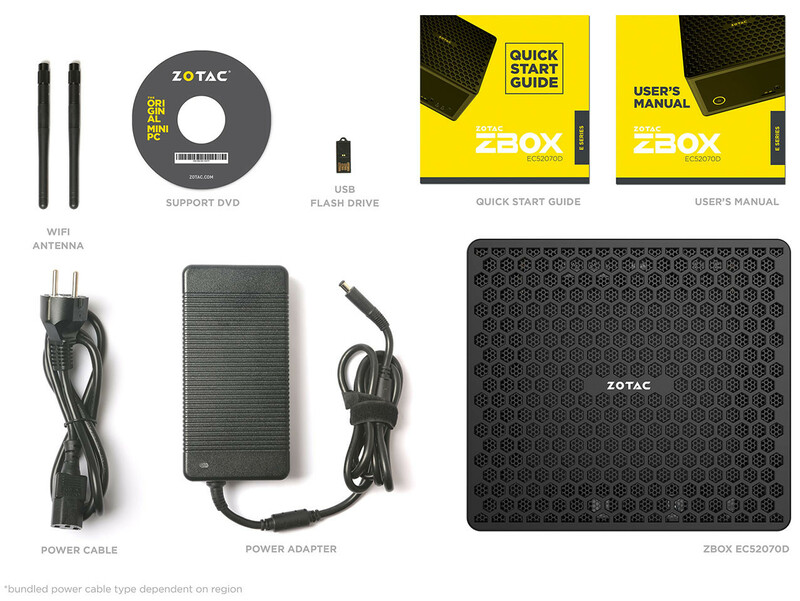 It also comes equipped with 16 GB of system memory, while a 512GB SSD handles all your potential storage needs. 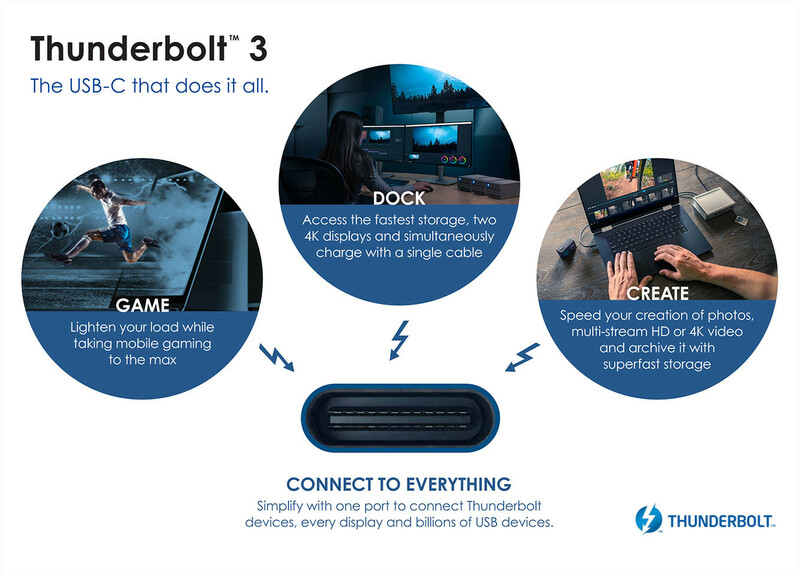 The inclusion of Thunderbolt 3 gives users faster file transfer speeds along with the ability to connect an extra display via a single port. Meanwhile, the 72 W battery allows for continuous operation up to 19.5 hours. 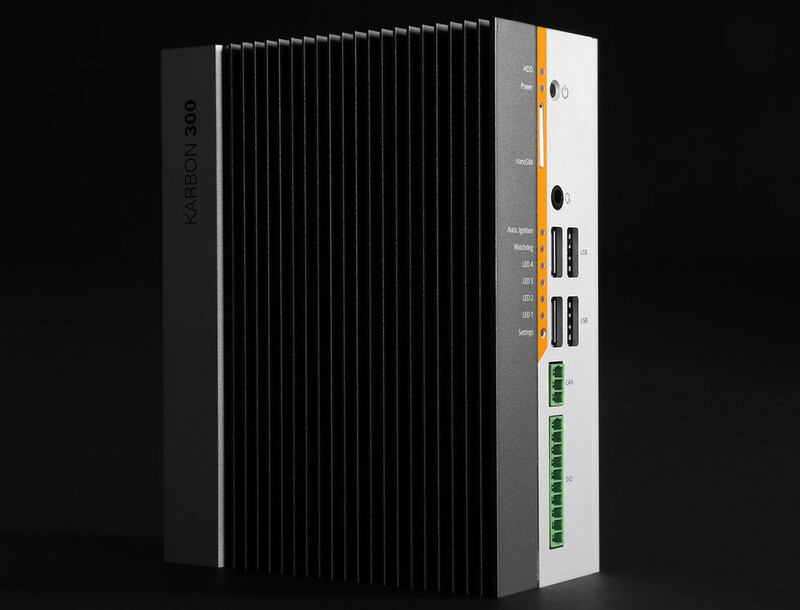 With solid specifications and sleek design, it appears to be a robust system. The MSRP is currently listed at $1699.99. 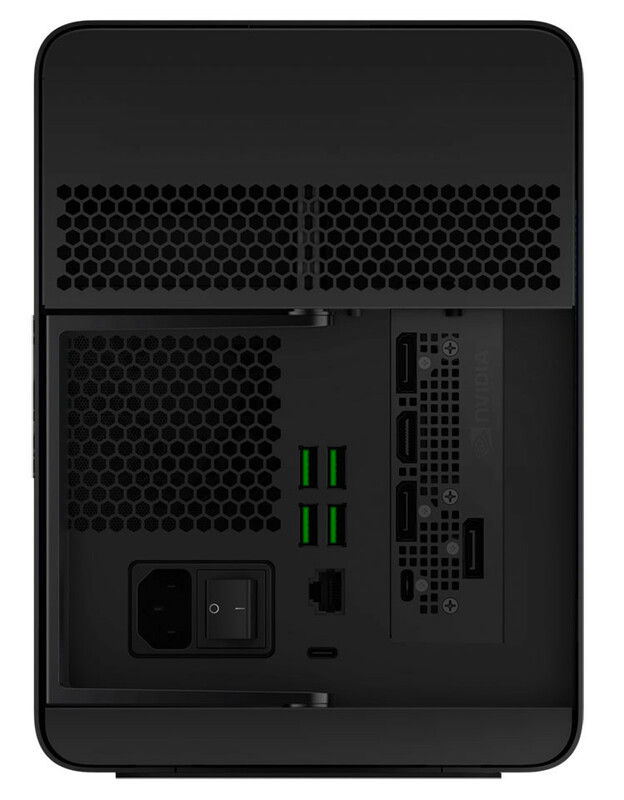 The more portable 14T990-U.AAS8U1 is a far more compact 14-inch offering with a 1920x1080 IPS touchscreen that makes use of Corning's Gorilla Glass 5. 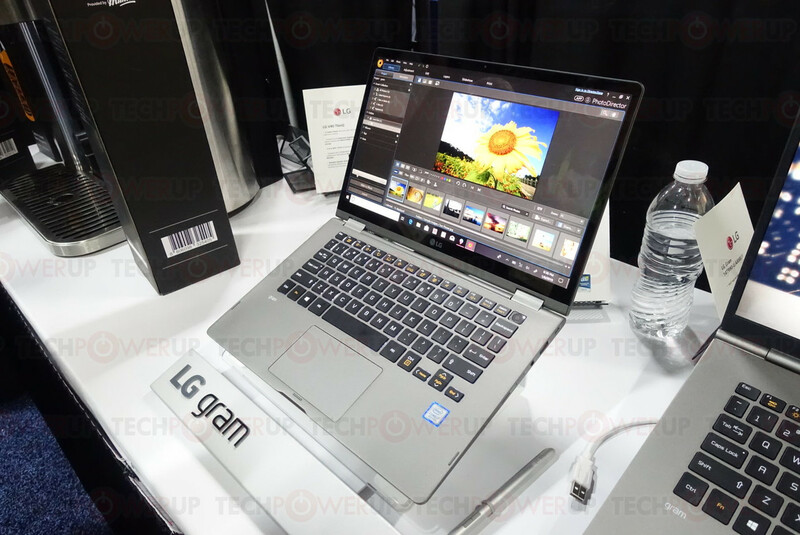 Unlike the 17-inch LG Gram, the 14-inch can convert from a traditional laptop to a tablet and even comes with a Wacom AES 2.0 Pen. Like its larger sibling, it features the same 72W battery allowing for it to operate up to 21 hours. General specifications are the same as its larger sibling with the Intel Core i7-8565U, 16 GB RAM and 512 GB SSD all making a reappearance here. This latest 2-in-1 from LG will set you back $1499.99. For a more in-depth look at both systems check our previous coverage here. 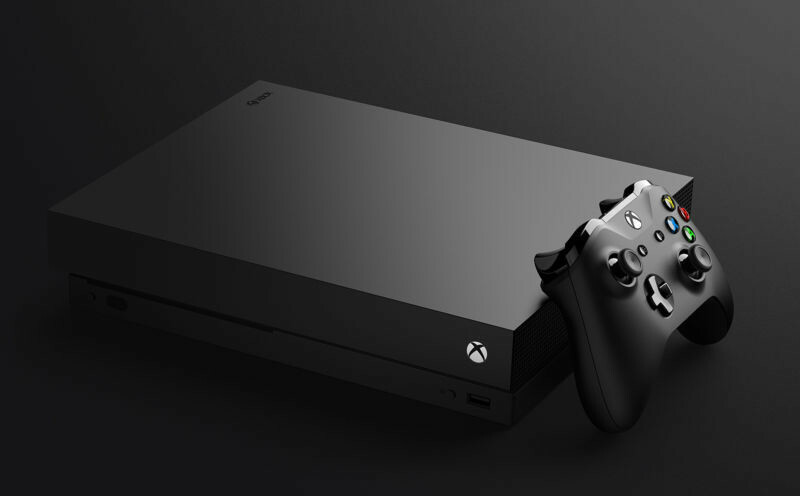 Crossplay has become an interesting point of contention for the industry, with some very popular games and companies advocating for a unified, non-fractured player audience enjoying their games across different media consumption screens, and even gaming platforms. 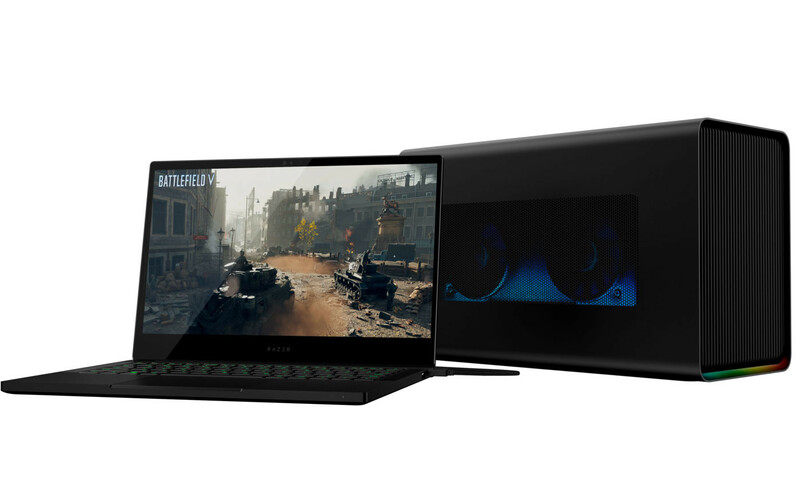 Microsoft has been pushing this kind of capability for some time now, launching their Xbox Play Anywhere initiative which aims to bring PC, Xbox (or both) gamers to parity - acquiring a game on one platform equals having it on both, with all game data being synced. A new update in the Steam beta update code explicitly refers to Xbox, with an "Xbox_pairwise_id" being present, which could point towards exploration of a future feature. 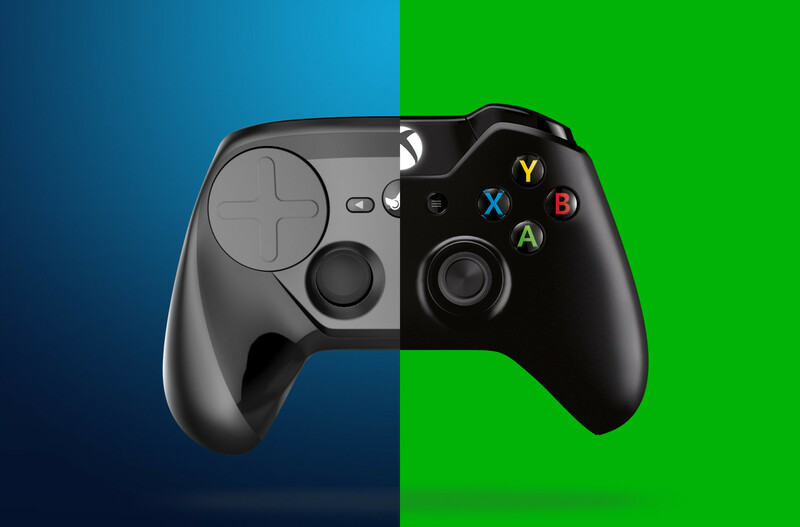 Microsoft adding keyboard and mouse support to their Xbox consoles, news of a new streaming-based console for Microsoft's xCloud efforts, and Steam already offering controller support are some of the little details that could make this a winning bet for both companies. URCDKeys is a sensational new deep-discount online software license store. The store is selling two of its most popular products among TechPowerUp readers, at an unbeatable discount of up to 92% off the regular online price. 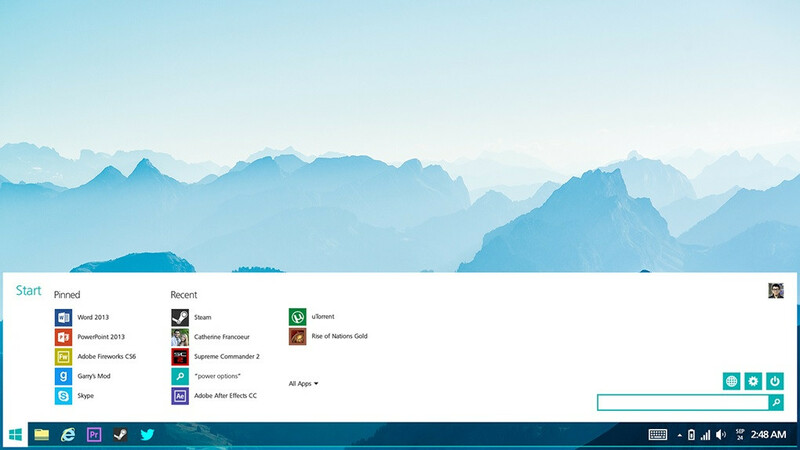 Windows 10 Pro is a recommended flavor of Windows 10 for PC enthusiasts as it gives you greater control thanks to Group Policy Editor, and other administrative tools. 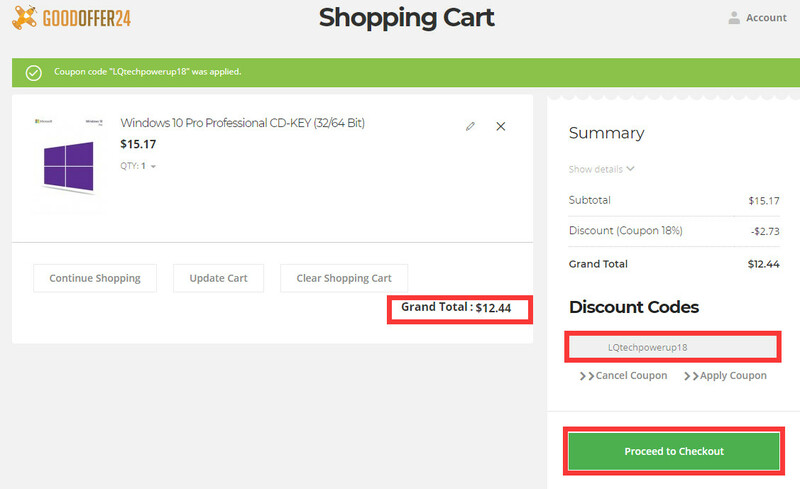 URCDKey is selling the OEM license key to Windows 10 Pro for USD $14.86, which further goes down to $11.81 when you apply a TechPowerUp-exclusive coupon at checkout. Your Windows 10 PC is incomplete without Microsoft Office, and URCDKey is stocked with Office 2016 Professional lifetime global license keys for just $38.02, with a further 20% off for TechPowerUp readers, making the effective price you pay just $30.42. That's a fraction of the price you'd pay for an annual subscription of Office 365. This deal is particularly useful for students, so they don't have to shell out $100 every two semesters. Exclusive Discount for TechPowerUp readers: Don't forget to use coupon-code TP20 at checkout for an additional 20% off on the already discounted prices! Microsoft to Kill off Edge Browser, Replace with its Own Chromium-derivative? It looks like Microsoft is on a tactical retreat in the web-browser wars, with no amount of marketing integrated with Windows 10 dissuading users from using Google's near-monopolistic Chrome web-browser. Windows Central has come out with a sensational report that suggests that Microsoft could kill off the Edge web-browser that ships with Windows 10. It could try a different strategy against Chrome - designing a new web-browser that's derived from Chromium, the open-source foundation that supplies Chrome with key components. Much like Firefox, Chromium is heavily forked and customized by the OSS community. Microsoft is internally calling this Chromium-based browser "Anaheim." The browser will be designed for both the x86 and ARM versions of Windows 10, and could be heavily differentiated from Edge and Internet Explorer, which could include a new branding, or perhaps even a significantly different user-interface from Edge. Microsoft could begin non-public community testing of "Anaheim" throughout 2019.